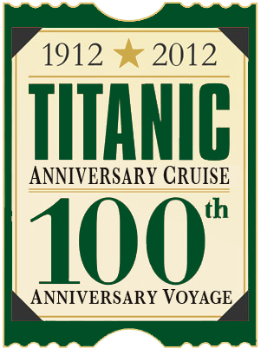 In April 2012, the Titanic Anniversary Cruise will sail from New York to Halifax to the Titanic site and back to New York. With the Titanic Memorial Cruise sold out, Miles Morgan Travel has added a second full-length Titanic anniversary cruise, this one on the Azamara Journey, which will depart New York on April 10, 2012, a hundred years to the day that Titanic departed Southampton. The first stop will be in Halifax, Nova Scotia, where cruise goers will have the opportunity to visit Fairview Lawn Cemetery, where victims of Titanic are interred. Finally, the Journey will return to New York—Titanic’s intended destination—on Wednesday April 18. Miles Morgan is also offering a Titanic Mini Cruise (April 3 – 8, 2012), which features five nights aboard the MS Balmoral, and includes stops in Liverpool and Belfast. AP, USA Today fall for GE press release hoax—On April 13, both the Associated Press and USA Today reported that General Electric planned to gift $3.2 billion to the U.S. Treasury on Tax Day. Sounds too good to be true, right? NYT Home Delivery, Debt Collection—Has the New York Times sent your home delivery account to a debt collection agency?